Preliminary autopsy results from five dead kea dumped near Arthur’s Pass have confirmed that the birds were shot. The initial pathology report from Massey University said evidence pointed to the use of an air-rifle and a shotgun to kill the five kea. 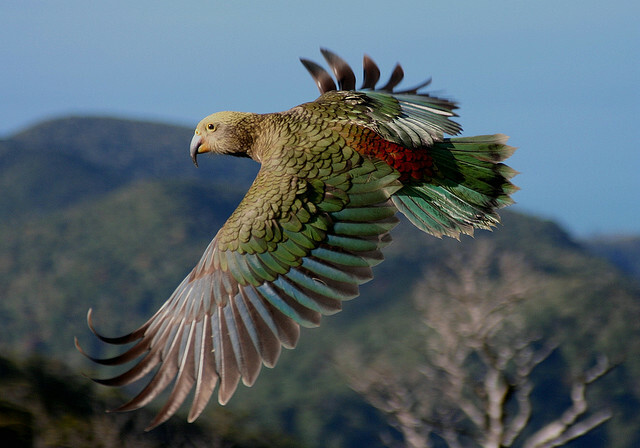 “Kea are endangered and their wild population could be as low as 1000 birds,” said Stewart. The full report will not be available until later this week but the initial results will assist the Police and DOC with their ongoing enquiries. Under the Wildlife Act, it is a criminal offence to kill kea. Offenders could face a $100,000 fine or six months in prison. The birds were found piled up on a picnic table at Klondyke Corner in Arthur’s Pass on Monday morning last week. Anyone who was in the area around Klondyke Corner over the weekend of 6-7 August are asked to ring the NZ Police, the 0800 DOCHOTline – 0800 36 24 68 or the Arthur’s Pass Field Centre. The incident occurred in the same week that a dead kea was dumped on the driveway of a DOC staff member on the West Coast. Early indications are that this bird was also shot and this case has been referred to the Police. To celebrate NZ’s unique natural taonga, Peter Hayden has curated a highlights collection from three decades of NHNZ productions. Aotearoa’s landforms and its magnificent menagerie of natural oddities – birds, insects, trees like nowhere else on the planet – are showcased in 15 award-winning titles. From Discovery Channel and David Bellamy, to Wild South and Our World classics. 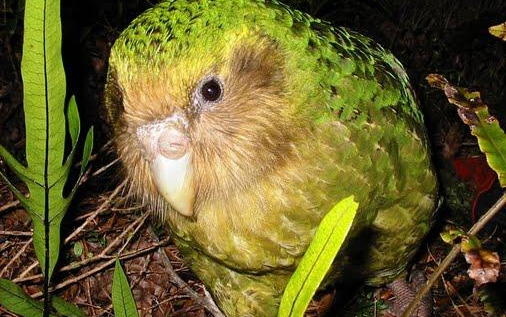 It might not be worth trying to save the kakapo, the critically endangered native bird that has been on the brink of extinction for decades, an Australian scientist says. Instead, resources should go into saving species that have more chance of recovering and surviving in the evolving environment. “It’s a wonderfully weird creature and it’s a shame that we will probably lose it regardless of any interventions. Harsh, but somebody’s got to say it,” said Cory Bradshaw, of the University of Adelaide’s director of ecological modelling. Using a mathematical formula, Professor Bradshaw and colleagues from Adelaide and James Cook University, in northern Queensland, created a new index called Safe (Species’ Ability to Forestall Extinction), which ranks the probability of animals becoming extinct based on population. The index goes a step further than the Red List of Threatened Species, produced by the International Union for Conservation of Nature, which ranks animals and plants in categories from safe to critically endangered. “It really comes down to accounting, are we deliberately or inadvertently losing hundreds if not thousands of species by putting money into species that are a lost cause? That doesn’t mean we go out and knock every one on its head though,” Professor Bradshaw said. Other endangered animals that could be left to die off because of unsustainable population levels, according to the index, include Australian’s hairy-nosed wombat and the Javan rhinoceros. The Conservation Department said it would look at the merits of the index but said it would continue to support the Kakapo Recovery Programme. “DOC is very proud of the work that’s been done to save the kakapo and we’ve no intention of letting them go,” spokesman Chris Pitt said. Kiwi recovery programmes are proving their worth even though the national population of the threatened bird continues to decline, Conservation Department science officer Rogan Colbourne says. Mr Colbourne has been part of the BNZ Operation Nest Egg scheme. The Hawke’s Bay group released its 100th young North Island brown kiwi into the Kaweka Ranges on Thursday. Nationally the kiwi population is thought to be falling by about 6 per cent a year, but Mr Colbourne said local programmes were making a difference, in some cases having increased the local population. “At Okarito [on the West Coast] they have increased the population from 150 to more than 300,” he said. In Hawke’s Bay, with a kiwi population of fewer than 1000, the addition of 100 young birds since 2003 was significant. Kiwi lived on average to 40 – and even to 60 – if there were no predators. In these programmes, eggs are taken from the wild and incubated, then the hatchlings are kept in a predator-proof environment till considered big enough to fend for themselves in the wild. “There is a 90 per cent hatch rate with these eggs, compared with only 50 per cent in the wild, for various reasons,” Mr Colbourne said. “Possums can eat the eggs, the adults can damage them accidentally, and there can be bacteria after rainfall. 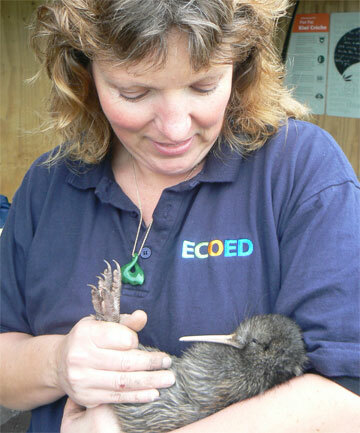 Of kiwi hatched in the wild, only about 5 per cent survived to become adults, as predators such as stoats, ferrets and feral cats ate the young birds. Ferrets and dogs could kill adults, and dogs were a particular worry in Northland. About 15 recovery groups were operating in the North Island, with assistance from DOC and other organisations, Mr Colbourne said. The Hawke’s Bay group is led by the Environment, Conservation and Outdoor Education Trust. Spokesman Alastair Bramley said the survival rate for the kiwi released in Hawke’s Bay was about two-thirds overall, but it had been up at 90 per cent till an outbreak of ferret attacks in 2008. “We haven’t lost any since then,” he said. Dogs were not such a big problem in Hawke’s Bay because hunters there had to put their dogs through kiwi aversion training before they could register them, Mr Bramley said. The 100th kiwi has been named Parauri and was released in the Kawekas after a ceremony at the Pan Pac Kiwi Creche, inland from Tutira. Saved from the brink of extinction in Wellington, kaka could face a new threat from humans, with one city dweller threatening to kill them. Zealandia conservation manager Raewyn Empson said a small number of people living near the Karori sanctuary had called with complaints about the rare parrots eating plums from their trees. One had called threatening to kill the endangered bird, which Ms Empson said was “very unwise”, given that they were strictly protected. The birds tended to gather at dawn and squawk noisily, but Ms Empson said their song had not generated complaints – a far cry from 2008, when the sanctuary said people were ringing to complain about noisy tui, after an explosion in their numbers. Listen to the Radio NZ item. 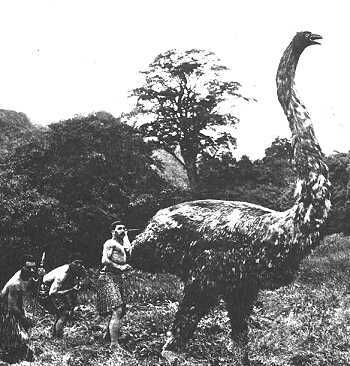 New research indicates the moa may not always have been flightless. The research, by Professor David Penny, Elizabeth Crimp and Gillian Gibb of the Allan Wilson Centre for Molecular Ecology and Evolution, has found that moa were closely related to the tinamou, a breed of South American birds. The team was led by former Massey student Dr Matt Phillips, who now works at the Australian National University in Canberra. DNA analysis indicates the tinamou is the closest relative of the moa within a group of birds known as ratites, which includes kiwi and other flightless birds such as the cassowary, ostrich and emu. Although moa are extinct, it is possible to sequence their DNA from well-preserved bones. 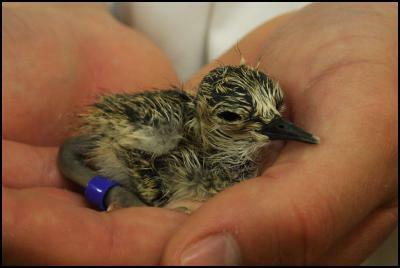 Tinamou, of which there are about 47 species, are the only members of the group that can fly, though only poorly. They are found throughout central and southern America. Ms Gibb is completing her PhD on the evolution of birds in New Zealand under Professor Penny, which includes this current research. “We did some more DNA sequencing from kiwi and also new analysis of the data set for the ratites,” she says. “The re-analysis shows that the ratites probably lost flight independently of each other, rather than the ancestor of all ratites being large and flightless, as traditionally thought. Previous theories pointed to moa being established on the land that would become New Zealand as it broke away from Gondwana more than 80 million years ago. The research was published in this month’s Systematic Biology, an international science journal.